Welcome to Shilbottle Community Hall. Our brand new state of the art hall opened in September 2010 and has become the central hub of many activities enjoyed by young and old alike throughout the year. We have a number of social groups using the hall on a regular basis, please visit our Groups page for more information.Also taking place are a number of classes.Please visit our Timetable page for more information. There are also lots of events and activities in the pipeline.Please visit What’s On and Recent Events for more info. 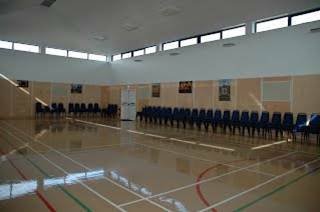 Our Main Hall and Smaller Meeting Rooms are available to hire at very reasonable rates. The Main Hall is ideal for children’s birthday parties, christenings and any family get togethers as well as larger functions, dances etc. If you have a Wedding or a Function in the near future and are looking for a venue, why not consider this beautiful new space. Please contact Gill on (01665) 575 196 for booking information and to check availability.